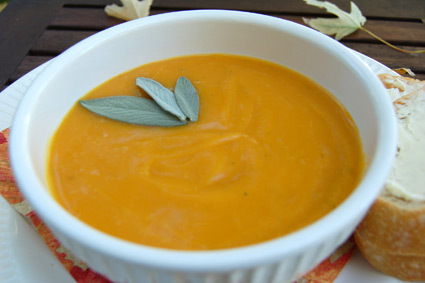 Do you enjoy your warm creamy soups but don't want to consume all those calories? Well I have a healthy, low calorie butternut squash soup recipe for you that is so thick and creamy it will leave you licking the bowl and going back for seconds, whilst leaving you trim and terrific and not increasing your waist so such much it gets it own reality show on A&E. 2. Cut the butternut squash in half lengthwise and scoop out the seeds. Spray with olive oil and place cut side down on a greased baking sheet / pan. 3. Bake for 40 minutes or until soft and remove from oven. Allow to cool then scoop out the squash and throw away the skin. 4. Heat olive oil in a large soup pot over medium - low heat, and add onion and cook until translucent. Add garlic and cook for a further couple of minutes. 5. Add carrots, chicken stock, and scooped out squash. Add 3 pieces of the ginger whole, and grate the remaining piece into the soup. 6. Bring to a boil, then reduce heat and simmer with lid on for 20 - 30 minutes or until carrots are tender. 7. 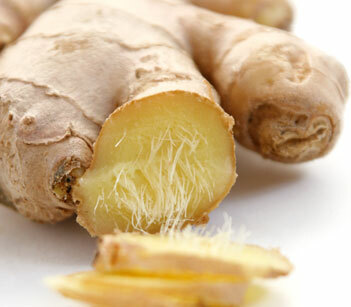 Depending on your taste for ginger, you can now remove the 3 pieces, or leave in for blending. 8. Transfer half the soup to the blender and blend for 1 - 2 minutes, or until the soup is thick but there are not large chunks. Repeat with remaining mixture. 9. Transfer soup back to heated soup pot, and stir in cinnamon. Feel free to add more or less cinnamon according to your taste. I think more provides a warmer taste. 10. I don't add any salt, but feel free to add a little (not much) if you need to. Garnish with some pepper or other ingredients of your preference and serve.